While most expect to see butterflies only in the spring and summer seasons, as you can clearly see, they also beautify the fall season. 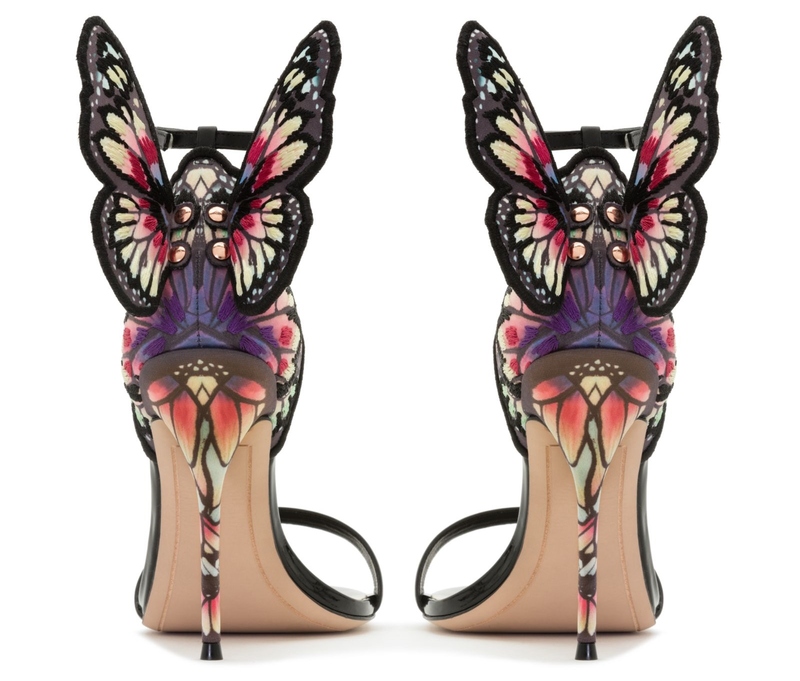 Sophia Webster is known for her butterfly and winged design details, it is her signature. And oh how this signature enchants us. Inspired by the Ice Queen, we present the Sophia Webster Chiara Sandals, one of the stunning shoes from her Fall/Winter 2017 collection. 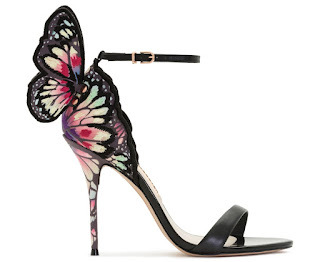 These Chiara boasts a black matte satin upper with multicolored embroidered butterfly wings, calf leather toe and ankle straps, and a statuesque 4" heel. 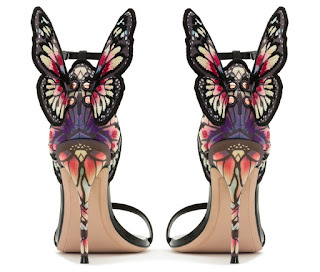 Celebrate your self-assurance, independence and fearlessness with these stunners which retail for $795.00 on www.sophiawebster.com.